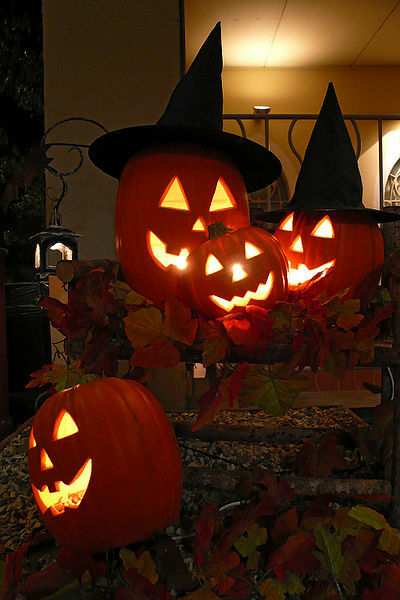 Children and adults want costumes, masks, special buckets to haul their treats and other equipment needed to prowl their neighborhoods and demand “trick or treat” (knask eller knep, in Norwegian). It all translates into good business for Norwegian retailers who have paid attention to this relatively new trend. “The last two weeks of October are absolutely the best two weeks of the year for us,” the head of local toy and costume shop Standard in Oslo told newspaper Aftenposten. Demand was so strong that Standard needed to close its doors and only allow in customers in manageable groups, while others lined up outside and waited their turn. Discount retailer Nille also has had a field day with Halloween costumes, decorations and candy in recent weeks. “Halloween has really developed in recent years, and sales have gone up around 500 percent in the past five years,” Pål Vibe, managing director of Nille, told Aftenposten.no. Some researchers link the emergence of Halloween in Norway to day care centers, where most small Norwegian children now spend their weekdays. Adults running the day care centers “have a need for activities spread throughout the year, and there was a big, empty spot in the autumn,” Asbjørn Dyrendal of the Norwegian University of Science and Technology (NTNU) in Trondheim told news bureau NTB. Small children now grow up with Halloween festivities at the day care centers, making it more likely they’ll carry on Halloween traditions in later life. Dyrendal said Norwegians also have resources to use more money on parties and fun. Restaurants, nightclubs and bars have latched on to the Halloween market, even some local museums and recreational organizations. The outdoor Norwegian Folk Museum on the Bygdøy peninsula was staying open late on Sunday, offering a “spooky evening” at the museum known for its historic buildings. Local hiking association DNT Oslo, part of Den Norske Turistforeningen, set up a 1.5-kilometer “spooky trail” in the eastern forest known as Østmarka Sunday evening, offering various scary surprises along the way. One woman bought apples and carrots in case any chubby children rang her doorbell. For most, it was just plain fun. “It doesn’t do any good to wag any moral fingers against the commercial aspects of all this, or any dark forces,” said Pastor Caspar Thomassen. His congregation invited eight-year-olds for an evening of spooky stories and games before festivities ended in a well-lit church. “Then we talk about how Christ won over the dark, before we start to eat the treats,” Thomassen told Aftenposten.